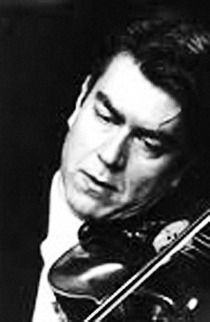 Markus Wieser, viola, was born in Zurich and studied the violin with Aida Piraccini-Stucki, Shinichi Suzuki, Gerard Poulet and Franco Gulli. He started his career in Paul Sacher’s Collegium Musicum Zurich before discovering a passion for the viola and its great possibilities in chamber music. With the Sabeth Trio Basel he won the ‘Migros’ Chamber music Competition 1995 and has played at numerous important festivals in Europe. As principal violist of the Festival Strings Lucerne and member of the Chamber Soloists Lucerne he performs all over the world and participates in many CD recordings.